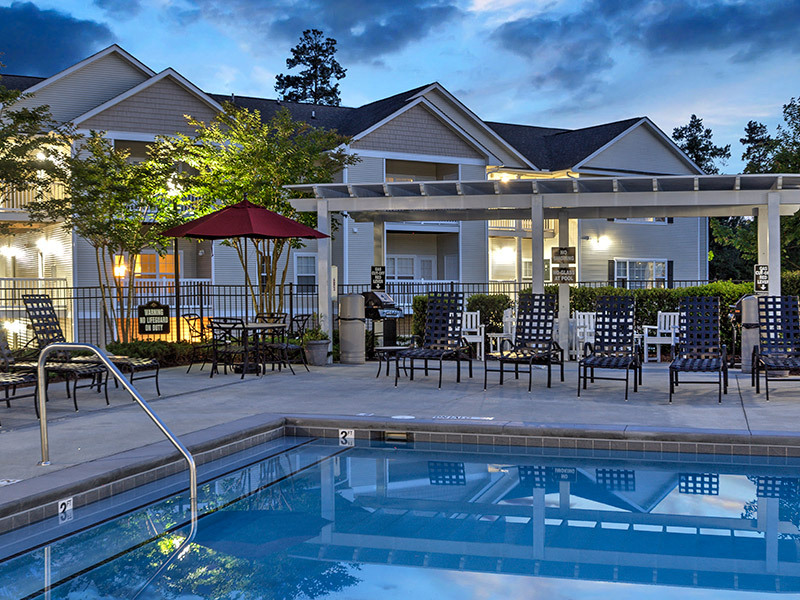 Abberly Grove Apartment Community in Raleigh, North Carolina has redefined luxury apartment living with its outstanding amenities, convenient location, spacious homes and unparalleled customer service. Located within minutes of downtown Raleigh, Crabtree Valley Mall, the Raleigh-Durham International Airport and Research Triangle Park, residents always have something to do in the area. The city even boasts beautiful weather this time of year! It’s no wonder why residents love living in Abberly Grove with top amenities for all to enjoy. The state-of-the-art fitness center is a popular spot among residents, along with the Internet Café, playground and the sparkling pool with a relaxing sun deck. The apartment community also has a garage available for residents. Residents at Abberly Grove have the option of coming home to spacious one, two or three bedroom apartmentswith 9-foot ceilings and elegant crown molding throughout. Featuring three floorplans, there is an apartment that is perfect for anyone. The Abberly Grove team members are outstanding as well! Team members truly understand and fulfill our vision of improving the world and how people live. At HHHunt, we believe it’s how you live that matters and Abberly Grove is a shining example of this philosophy in action. The apartment homes and amenities make this community an incredible place to call home, but even more important is the courteous and responsive team who goes above and beyond for our residents. We invite you to schedule a tour to visit our apartments in Raleigh, NC and discover for yourself what makes it truly unique and a great place to live!